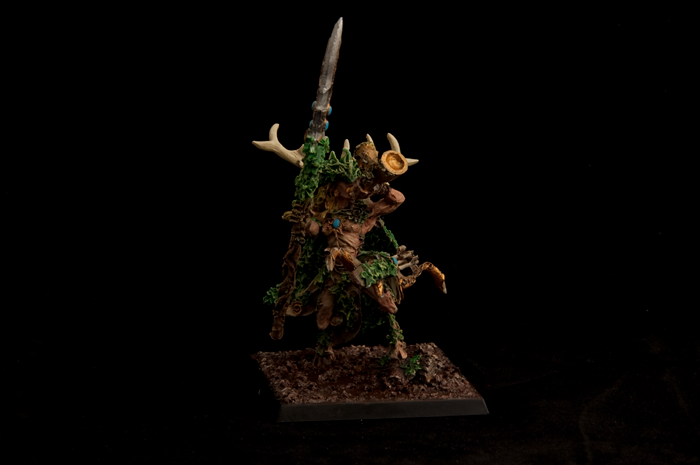 And my first finecast model…Orion, King of the Woods. Very good! The dark background lends well to the natural tones, which are all smoothly applied. 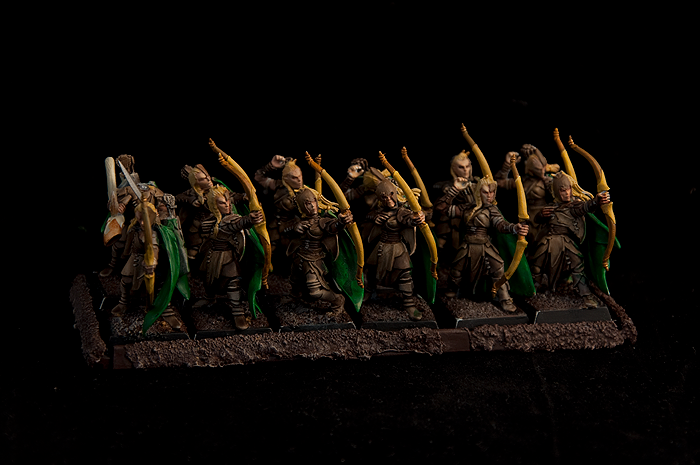 I love the Glade Guard - I've been promising myself I'll go back and give my Wood Elves a bit of painting love (they were my first army a few years ago, but it's only in the past year I've actually done any serious painting). Chilldenuff/Les: I heard that too, and had a test run on some sprues and on some of Orion's parts, despite washing thoroughly to get rid of any surface contaminant the paint doesn't seem to apply all that well and 'pooled'…especially the lower pigment stuff like khaki. I ended up undercoating with a very light coating of skull white. 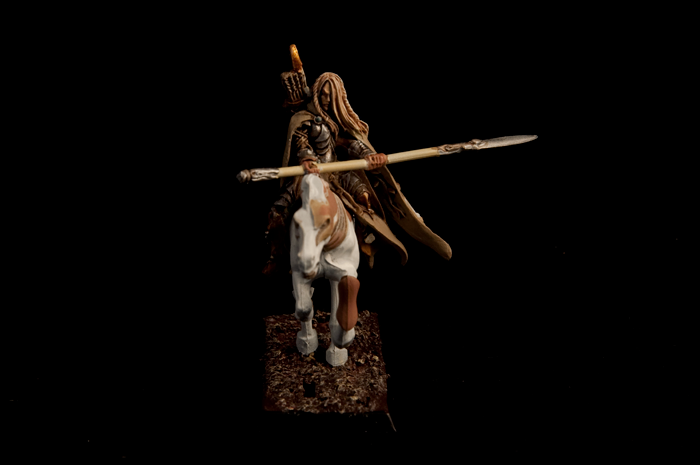 And My latest creation…Wood Elf Highborn with Great Weapon Converted to Ride an Elven Steed with Spear. very nice.. how well did the legs/torso join? I took the existing model, carved out the branch he normally he stands on with a knife, carved out a little extra space between his legs, remoulded the cloak that normally trails down between his legs to run parallel to the horse with some hot water ( no cutting/green stuff necessary ), then I held him on the horse until his legs settled into their new position. cool... the joys of resin!